I wonder... I wonder if you had a morning like mine. I woke up, I made up the bed, I tucked in my sheets and I even collected a little laundry. I dressed, did my hair, looked in the mirror and I went on with my day. A bowl of cereal. A few bills paid. Some tidying here and some tidying there before I settled down, before my desk, to start my day of work. Emails checked, phone checked... ah, Facebook... not yet checked. All is well I see. A friend has a new job opportunity, another has a new skiing photo and another... has a post... about Connecticut? About assault weapons? And then another post, and another, and another and... I immediately jump over to the BBC to see what is going on. And there it is. A single headline. 27 dead. Kindgarden. Kids. School. Dead. in Connecticut. I wonder... did you feel like me when you heard? Did your insides drip fire, blood and water down its insides and did your skin go cold? and numb? And did your brain freeze? Freeze with disbelief and belief all at once? Because you know you've been here before. We've been here before. Always. And did the crossroads fill you? Did you feel the trap closing in around you as I did? "We've been here before... We've been here before." And we will be here again. Can you already hear them, the raised voices, in your heads? The biting, the chaos and the pre-adolescent hand slapping fights that we have settled on for the term "public debate"? And can you see the news four weeks from now, six weeks from now, with side reports of autopsies, of 'his' Facebook page, of the warning signs, of what his hobbies were and of what he did on the social networks, in school, in life... and you've heard it before and could write it now. Page, after page, after empty page. Can you see it now before you? Can you taste the dust and the debris of the hopelessness already in your mouth? And did you, like me, turn to the news stations for answers, for the mirroring of your soul, and pain, for clues to help you process? How did it feel, when they did nothing but slip the pre-warmed syringe into the vein of your arm, lulling you to sleep with words of our president's "tears," and "emotion" and the governor's political two stepping... "we did our best to be prepared but you can never be prepared" speeches? Did the disconnect and the void of neutrality in their eyes dull you as well? Did it lull you back to sleep? Did it convince you, once again, that the Second Amendment will once again, as before, be debated and, once again, will make all of "this" nuisance of a recurrence "null-and-void" and old news? And I wonder, how many of you turned off the screen like me? Seeing no solace, no anger, no answers and most definitely, no leadership. Did your body fill with the mist-like-grey that comes... feather light, with no weight, and you suddenly know that you are alone? That nothing but burnt soil and bits of black on ashen plains surround you for miles? That the fight within you, that the justice that pounds behind the right of your heart... is not echoed? It's not real? It's not true? And it's not right??? "How can that be?" you wonder. "How can that be?" I wonder. I wonder if you are like me. I am mad. I am furious. I am doubtful and I am faithless. I see, with the channels and the flickering and the news and the media... all I see is the emaciated skeleton of what once was. I see the leaders and the fury and the justice and righteousness of those that came before us... I see the fury in their eyes!!! I see their eyes fixed upon the blood of the children that flows past each of our feet... I see them looking down, while the cameras of today do nothing but look up and zoom in on the tears.. of the wiping of the sadness... of the "emotion." I hear the media of today saying "look! look to your leaders! they are weeping! they are... sad!!!" But I do not see them. I do not focus on the shed of a tear... I only see the fire. I see the fire of our forefathers, the fire of the children we have lost and I see the fingers of those we have lost before and I see the fighters of our freedom with their arms raised, forward, straight and powerful and full of accusation and knowledge. They are pointing, they are pointing... their arms are raised and they are pointing... to the ancient and the new blood of the innocent that flows upon our feet, that empties from our bowels and that rains upon our hands and that we? We do nothing. They know that we do nothing. They know that we are numb and content to be numb! That we want that syringe and we want that "emotion" and that all we want are the candlelight vigils and the mourning and the sorrow and perhaps, most likely, that glass of wine that we shall sip and sip and sip and sip until we feel no more. They know that we don't want to fight. We've forgotten how to fight. They see our hands, and they see they are soft and supple and free of worry, war and care. Oh, yes. We shall make memorials. We shall. But if we look inside, we know that they are the memorials that will stand... that will stand and will surely and knowingly see the blood come again. It most certainly and most definitely will, as we all know, flow again. And we are content with that. We are satisfied with that. We have chosen again and again and again the bickering over the thinking, the drama over the true feeling, the cover-ups and shams that replace our true justice and true knowledge of what is out there. The rage. Oh! The rage I see burning in the hearts of those that penned our first words!!! The words of our nation have been corrupted to the point of blasphemous infamy. I can see their accusations and I know that they are right. They are so very very right. "We?" "We the people?" I hear them mock. "We the people???" I hear them accuse... "You are not a people anymore." "You are heathens and you are greedy and you are weak and your hands have no work upon them..." Oh, do I hear them behind me... I hear their skin crackle like the fire that first lit their hearts. Do you really believe, my people? Do you really believe that our forefathers, the ones who fought and the ones who thought and the ones who showed bravery that the likes of history has rarely seen.... do you really think they would let the blood of children stand? Is that what we really are content to believe??? Do you think that when they wrote their words, that when they wrote their Constitution and their Amendments... do you really think their main goal and purpose was to create some holy scripture that none of us could question or deny? That we were to go on as a people, unthinking and uncompromising and uncaring? Do you really think they wanted us to believe that? Do you really think we could EVER stand before the high court of their judgments and of their minds and find them happy? Content? Proud? 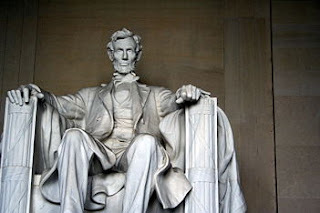 of our decisions to stand by some old relic they created for a different time and a different purpose??? As if! As if they thought life was unchanging... as if they thought revolution was a thing to be abhorred... as if they thought that their way was the only way for all time and all creation??? Shame! Shame upon our nation and upon our heads and upon our hearts for believing the most unthinking and most corrupt media to ever ever grace the planet of this earth and the weakest, the weakest of all governments on this planet, that has so quickly and so suddenly fallen from its great heights of only a generation or so ago... Shame! that all now fight for one thing and one thing only! To be "heard." To be "popular." To be "Nice. Right. Kind." That perfect, playing soundbite. Worthless. We have become a nation of worthless thoughts and of worthless deeds when the blood of our fallen soldiers and the blood of other nations is bantered about like some rodeo rally under the banner of "entertainment," while the blood of our own innocent children flows past our feet and I hear... oh yes, I hear them crying out from that blood... "Why?" I think you can hear them too.... "Why?" "Why?" they ask, "are you allowing us to die?" I wonder if you are like me. I wonder if you are really content with what we have been given? I wonder if you are like me. If you are sick of repetition with no action? And I really do wonder??? Are you really like me? Are you willing to fight? Are you willing to speak? Are you willing to set axe to bone? To fight for our kids, our lives and fight for real change? Fight for truth and justice and what really happened out there? Are you like me? Do you really want to look into the mirror? Do you really want to look into the faces of our lost and fallen and do you, like me, feel willing and free and able to turn your eyes away from the sick, flacid and nameless lenses of the cameras and "perspectives" that our medias give voice to... to look down? To look down at the blood? To hear their names, one by one, as they pass across our feet... and say, "we are sorry. We have failed you. We shall take your names upon our hearts and we shall etch them in our minds and we shall not stand for what others want for us, but we shall stand for you." Will you join with me, in unison? In voice? In real, true and heady reaction? Asking the question, "when is enough, enough?" Did your heart split in two and cry, "it is finished?" Did you know the end had come? Did you know this must be stopped? Did you feel your foot plant firmly in the ground at the news... and know that the time has now come? The foundation must now shift? I know that reason does not prevail anymore. I know that reporting no longer exists either. I know that the days are gone when we can turn on our televisions and see an older, wiser and solemn face looking back at us and saying, "This is the line. It shall never again be crossed." When we knew that there would be action to make it so. Those days are so far gone... they no longer exist. We can't even remember the taste of them. We suckle at the teat of mindless neutral words that do anything but inspire us to fight, feel, heal and most of all... take action. Are you like me? Will you join me? Will you turn off your screens, tweets and feeds and remove the feeding tube of apathy from your throats. Will you fight back? 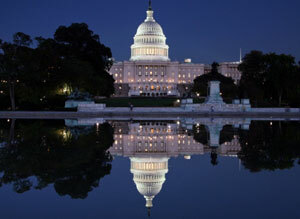 Will you flood congress? Will you flood your legislature? Will you flood the social networks, your newspapers, your communities... will you vote with your justice and your minds and your hearts... and will you write? Write in your journals and in your families and in your corners and in your harsh realities? Will you, like me, choose to think freely, think clearly, and admit all of our wrongs and all of our past rights and finally... finally... choose what is right. What is sane. What is true. And what would make our forefathers and our fallen innocents proud. Excerpt from Weekly WCS Note #55. Unless you become more watchful in your states and check the spirit of monopoly, you will, in the end, find that the control over your dearest interests has passed into the hands of these corporations. 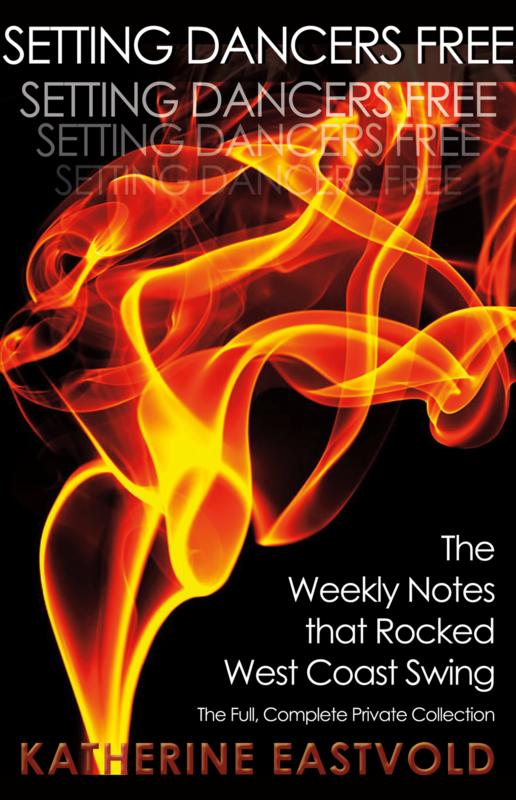 While putting together Setting Dancers Free, my first collection of Weekly WCS Notes, added discussion questions for my Word groups to nearly twenty Notes. 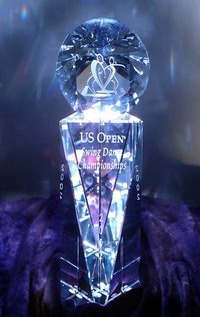 That included the infamous Weekly Note #9: The Results are IN!, where I gave my own scores for the US Open's Classic Division, along with a breakdown of how and why I came to those scores. This Note proved a uniquely difficult one to write discussion questions for. So much hate had been violently poured out in an effort to silence people after it was released that the memory of it made it difficult for me to encourage people to speak... speak their own thoughts and their own minds. I knew that if they did so publicly, not just in their groups, that they would face horrific and immediate harassment. But freedom is freedom, and in the end I succeeded. The questions ended up becoming some of my favorite discussion questions ever. Right before the US Open (2011) I was told that the Open, and the WCS community that attended it, was The Church of Jordan and Tatiana. In what ways does that title fit? Do you feel that you are a part of that church? What do you think your duties as a member of that church are? Yeah. Quite a question, isn't it? I so dearly wish I could be there for some of those discussions, because I can think of some of my own answers from personal experience. My, oh, my. And then, shortly after I wrote that question, the US Open released an announcement proclaiming a "new" anniversary tape. "In celebration of our thirtieth year," it said, "we have created a compilation of the last ten years (2002 thru 2011) Classic and Showcase winners." "What the heck???" I thought. "Are they TRYING to sell my books for me???" Because, as anyone who has read me over the last two years knows, I've said a whole darn lotta things about the last ten years. And now they are putting out a new "tape" of the last ten years just to prove it. Cool. But if you don't wanna spend the $40 buckaroos to watch the same people dance swing and then, slowly but surely, unravel and stop dancing swing, then go ahead and let me not only recap "The Next Ten Years" as they call it, but also break it down a bit for those of you who weren't around at the time. Okay, so I put 12 years up there for you, not just 10, but aren't you glad I did? I hope you really paid attention to my notes. On the years that they did not win, did you see why? Either they didn't compete, or messed up so badly with a new routine that they stopped and turned bright red. But even then the judges worried incessantly that they'd made some huge mistake, just because they didn't have Jordan and Tatiana in first. And did you notice something else? Benji has never lost a US Open since he stopped competing against Jordan and Tatiana, and Matt and Meagan, for that matter. And the names of those who won in his absence, or in the only three years Jordan and Tatiana did not reign for various reasons? Nothing's changed much up there in the last 10 years, just like I've said in everything I've written. If you watch the tape of the first 20 years of the Open, you'll see some names repeated, like Lance Shermoen, but they don't tell you how he placed or competed in the years he didn't win. Both Robert Royston and Lance Shermoen placed 6th the year before or after their wins... it really was a competition back then. by the Church of Jordan and Tatiana. The head of the Council? "LOVES Tatiana," I was told, "and does anything she asks." Including trying to get a non-GSTDA judge (Mario Robau Jr., who isn't a Georgia Peach either- not a fan of growing a community, freedom of thought or considering anyone to be his equal, but does still teach swing and handles himself quite a bit more professionally than anyone in The Ten) off of the Classic Division panels. When lobbying for the judging panel these two wanted, they both went directly to the head of the Council. It was the head of the Council alone who did all that pressuring of the head judges, of Mario and of the event directors. No one else. Just the head of the Council. I shall be writing more about how the Church was established, how it was ingrained and how it has become, literally, a cult, in my third book, One Word at a Time. Knowing really is half the battle. This piece was written for a Weekly Note all the way back in December 2012. So much has changed since then. The most powerful founder of the church has passed away. The so-called cardinals and bishops of the church still remain, but they have been exposed - called out into the open. Scandal, treachery and bribes have been shoved into the light. I have done some of this, yes, but not all of it. Members of the church itself are doing it. Oh my. Now, don't get me wrong. The church still stands, and quite frankly, I don't think it's going anywhere anytime soon. But this time things are very, very different. All the players may be the same... but... as you may have heard... some of the players have... well... changed. Look, I talk about this a bit in The Monopoly and even in the BBB Exposes, but these people who I'm about to discuss down below are not people I watched from far away. I was there. We were the young ones. We only knew each other. I did not hate any of them. I just witnessed everything. But I didn't understand the consequences at the time, and left to open my studio just after the church was established. Looking back, I realize why opening a studio was so easy for me. I didn't miss the world the Swing Dance Council was creating. I missed the people, but not the dancing - it had already changed too much. I just hadn't put a finger on it yet. But the point of this update is to also clarify something: I don't think Jordan and Tatiana set out to set up a church. I don't even think they played integral parts in its foundation. I remember Mario once wrote that when he attended dance events he was "treated like a god," which was wonderful and addicting, but that the dance life meant that he'd missed out on time with his boys. This is the piece of the pie I know Jordan always wanted. He never lied about the fact that he wanted 1st place and 1st place only pretty darn bad. It was kind of a cute joke at the time - we all knew it and he always admitted it. Wink-wink-nudge-nudge... but that was when Jordan didn't always get 1st. A long, long looooong time ago. Now, a reader reminded me that a church follows a set of beliefs, but a that a cult follows a person. And while Jordan was a Nissy back in the day (we giggled about how he couldn't pass a mirror without looking in it) he certainty wasn't the worst of the day. He could be cruel when the pressure was on, but, let's face it, that's not Jordan today. And he isn't a sociopath. He isn't a psychopath. Nor did he introduce the drugs into our community. But others did. So when I talk about the Church of Jordan and Tatiana here, it is not a huge finger pointed at them. Oh, I think they may love it, just as Mario did, but this cult was family built. Quite mafia-esque. Others did the heavy lifting when it came to building this church/cult. The cardinals and bishops of this church literally moved heaven and earth to make sure that everything you are about to read below came to pass. 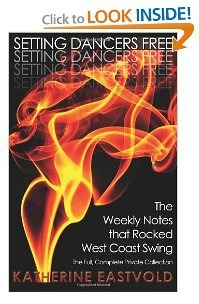 ...but what you are about to read could not ever be without the vast amount of money, resources and politicking that was done behind the scenes by head members of the World Swing Dance Council and The Ten. And others. I'm sure you could name them. They don't judge themselves, after all. Or run every event. Or pick out the lights, sound or music at an event... this church is HUGE and it's world-wide and it's powerful. Just remember, as we look back, that my most recent Notes have said that Annie Hirsch, Skippy Blair, Sarah Vann Drake and Deborah Szekely had, in one way or another, by the time J&T won their first US Open, already established a regime of fear, terror, drugs and blackmail. The competitive (points) community had already separated from its roots by then. The LA Swing Dance Club, the San Diego Swing Dance Club and other clubs that still remain today... that are highly active and dance much much much MUCH more than any of the rest of us ever do, had split away by then... not liking what they saw coming. There was a time we all danced in the same halls - when they attended events with us and we could see, in one single room, every single generation of swing dancer that ever walked the earth. No longer. And not because of J&T themselves. My point is that it is now two years after I published this Note. Certain people have recently made certain "new" choices. They want better things for the community. They want to undo what they have done. They are not the majority now, but since they are the ones who matter, the writing is on the wall for the future of WCS. The Revolution has gone above-ground. And we are winning. #52: Two Books, Four Big Perks! That's right... the book is finally HERE! And I couldn't be happier with it. And neither can my readers! I'm already hearing such great stories. I'm grateful. I added and expanded my most popular topics with a TON of new info. Already, I'm hearing from studios and students that they weren't expecting so much NEW info... they love it! They've already begun incorporating them into their classes and dancing. If you have loved any of my writing... then you will LOVE this book. It's my best. And with so much new information, you'll be glad it's on your bookshelf for easy reference! 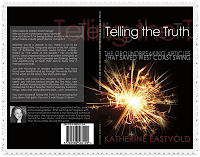 Buy Telling the Truth today! And thank you so much to my readers for all your help getting me here. I never could have done it without you! Yes, you heard right! 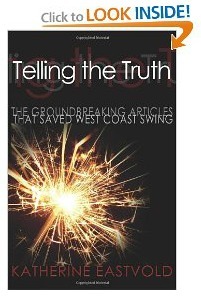 The first book, Telling the Truth: The Groundbreaking Articles That Saved West Coast Swing, is almost here! The best part, in my opinion, is that I've added quite a bit of new material, new discoveries and brand new graphics in this book. 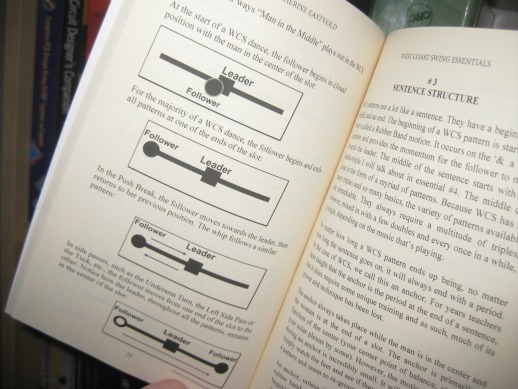 Articles like WCS Essentials and Routines 101 have been completely revamped, and I've added brand new material, like What is WCS? in the introduction. I can't wait until it's released! This picture is the first draft of its cover, so it'll be a little different when it's released, but for those of you who have been asking, it'll be available on Amazon.com first, and then through my website and other sources later. Who will hear about it first when it's out? My famous global Email List of course! So sign up today, and you'll even get a preview of some of the new additions, along with info on my SECOND book, which is already in the works too! I'm so glad you're as excited as I am... I feel very blessed to have such an amazing readership has supported me all the way to such an amazing milestone in my life! Hear it first! Sign up for my Email List here! From Weekly Note #41: The World Thinks We're Latin. Released October 3rd 2012. Silence implies consent. It kind of sums up our entire 'points, pros and political system' perfectly, doesn't it? I still remember how many "politicians" emailed me after The Time Has Come and literally said that the only way to change things was to have conversations in the back channels and back rooms and keep things at a whisper. I saved all of those emails because... they crack me up! I did that for five years, and many others have been doing that for ten. Back room whispers and side hall mash-ups between conspiring supposed "swing" lovers over the last ten years has gotten us... a completely different dance. Oh yes, I definitely should have just stuck to that method. Please. But a totally different dance that's designed for young agile teens to learn off of YouTube, that's unrelated to keeping a beat and can be danced to every Top 40 song in the world and requires little more than gyrating hips... it's just what our 'points, pros and political system' wants. "Silence implies consent." And they certainly aren't talking. Oh, you'll hear grumblings and murmurs of dissent... about walking, about technique, about Nissies, etc, etc, but you'll NEVER hear any of them say there's another dance out there. The world definitely believes we're doing a different dance. They've figured out that our new dance has simple rhythms, new thumping music and circles one another rather than sticking to a slot and posting. And so, rightfully, they've thrown this new dance in with other dances that are similar, like Zouk Lambada, Konga and Reggaeton. Those dances also have simple rhythms, thumping music and circles one another. They are also about arching and dropping and rolling, rather than jamming and dancing and swinging. The world has seen our new dance, and has rightly re-categorized it with its similar sister: Latin. Good for them. It fits. I just wish they knew it's really Club Improvisation they're doing or Lyrical Improvisation, not WCS. I've been calling it a different dance for years now, and I've also said it has very similar rhythms to Latin dances, not swing dances. So the world, me and those who love what I write... basically everyone except our 'politicians and pros system'... seem to get it. It's obvious. It's not swing out there. It's something else. 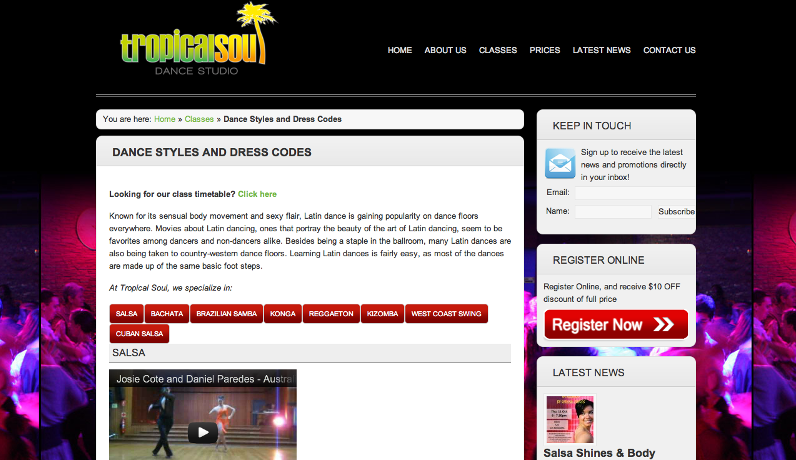 "Learning Latin dances is fairly easy, as most of the dances are made up of the same basic foot steps. "Our WCS instructor is the very Clint Glasgow who is known for his infectious personality, his enthusiasm and love of both dancing and teaching West Coast Swing." Did you catch that? 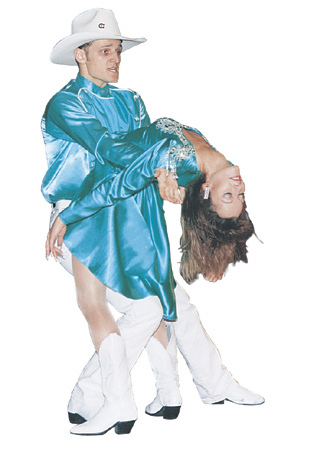 "Most of the dances are made up of the same basic foot steps." As a reader just wrote in, "if you took the 'quick-quick, slow-slow' out of a Two Step, is it still a Two Step? NO." West Coast Swing without triples is ANOTHER DANCE. Abstract Improv is almost all Single and Double Rhythms... just like... oh, right! LATIN dances! Let's move on to another, shall we? 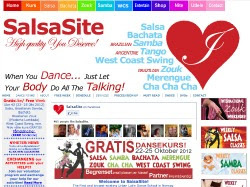 "Salsa, Bachata and West Coast Swing are few of the popular dances with roots in latin, african, american and tropical dances that quickly spreads all over the world. 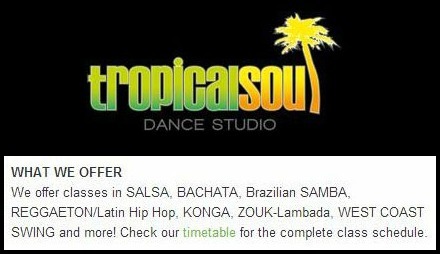 Now you have the opportunity to be part of that dance development..."
"Attension Bachata lovers!... We will make a small Bachata competition... like a "Jack and Jill" so do not miss out on this Bachata weekend at Falken! We will have two floors. The big one with 50/50 Salsa and Bachata, and the small one we will mix WCS, Kizomba and Zouk." WCS has its roots in "latin, african, american and tropical dances"? And a room with WCS, Kizomba and Zouk playing at the same time?!!!? Who says our music hasn't changed!?! Of course it has... and this proves it. I don't care if you want to switch the name from Abstract Improvisation to Club Improvisation, but the bottom line is that it's a different dance. You don't see these Latin studios offer Boogie Woogie or Lindy, do you? And good heavens, I wonder how many people are being hurt around the world because their partner is doing a Latin dance with Latin rhythms and the other partner is trying to do anchors and triples? OUCH! Take a really good look at the picture of their site. Really think about Abstract Improvisation, and the dancing you see the All-Stars and the Pros doing... it fits, doesn't it? LADY STYLING * SHINES * MERENGUE"
Don't forget, I've won every Salsa Club competition I've ever entered, and that's quite a few, so I KNOW the difference between these dances... and I can guarantee you, what they are dancing has NO RELATION to any of our basics in real West Coast Swing. None at all! 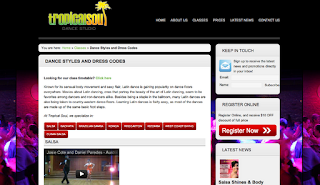 Salsa, Bachata, West Coast Swing, Rueda and Zouk Partner Dancing." sensing a theme here? No one thinks Abstract Improvisation is a Swing dance. Or the 'politicians, pros and peter pan's' of WCS? Knowing is half the battle. Enjoy the fight. #42: Six Amazing Sights to See at BBB! As you may have already read, dancers are setting their sights on the actual cities surrounding events, rather than settling for their hotel rooms and "bed hopping," as one dancer put it, all weekend long in between the hours and hours of competition followed by... hours of competition. 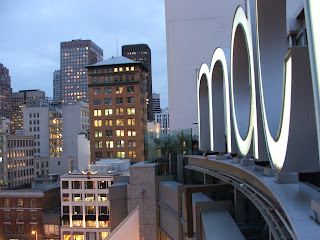 Now that Boogie by the Bay has arrived, I've realized you might like my tips on where to visit, since Nick and I did actually live up there for a good long while, not to mention being a board member for the event. So I know a thing or two about what's near you and what you might like to see- some are for everyone, and some, well, aren't! I've selected a variety of sights, for a variety of tastes. 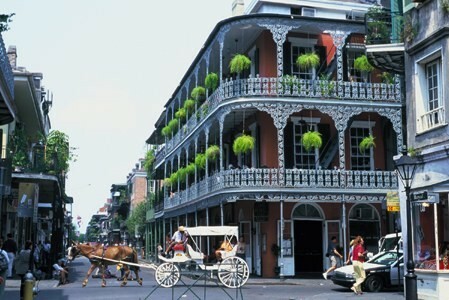 I'm including some traditional sights and some very non-traditional sights as well. Sift through and see what you like, take my "insider tips" to hear and try and win that FREE BOOK contest! if you can... or just send a postcard instead. This probably sounds like an obvious choice. 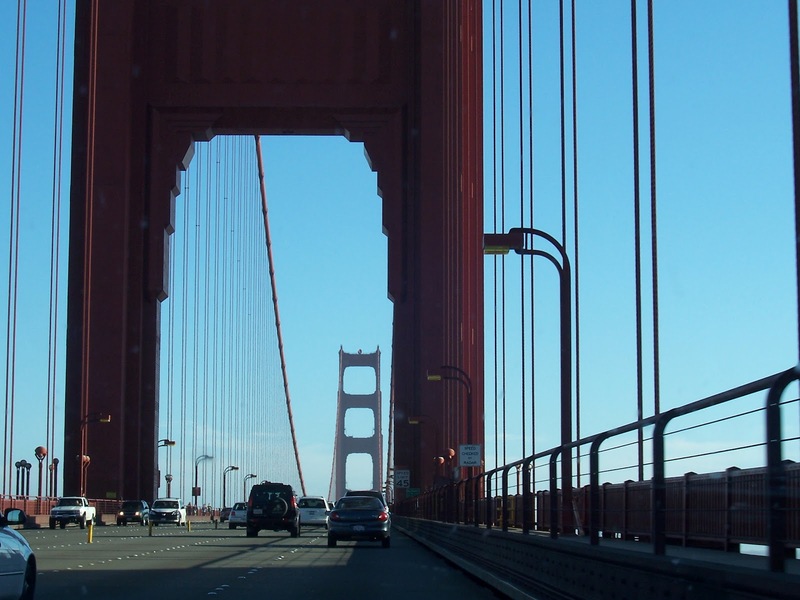 First, Nick and I took this bridge hundred of times during out Bay Area days, and, quite frankly, we never, ever, EVER became bored with it. It always stunned us. Why? Because we were driving across it. If you're going to do the Golden Gate Bridge, don't just go to the park and stare at it. Puh-lease! At least catch a cab, rent a car, take a bus or borrow a car from a local (you will find A TON of locals at BBB... for many of them, it's the only event they attend all year!) and drive across the darn thing! It just can't be beat. 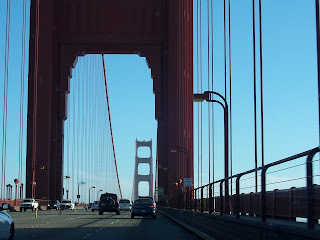 We never ever tired of the Golden Gate Bridge- I don't think I've crossed it once without taking pictures... just couldn't help myself! Be aware though... going south on the bridge does cost $6. 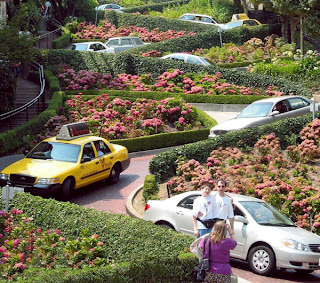 We all have to pay it, international visitors and locals alike. But it's only per vehicle, so a bus (tour bus or city bus) is free! 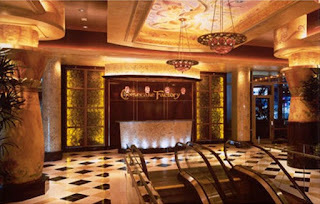 If you're up for lunch or dinner, I highly recommend you hit up the Cheesecake Factory in San Francisco. Why? Not only do you get to visit and see Union Square, but you also get to ride to the top of the Macy's building, for a stunning and unusual view of San Francisco... all for the normal price of dinner! The Door to the Right Opens onto the Balcony in the first picture. 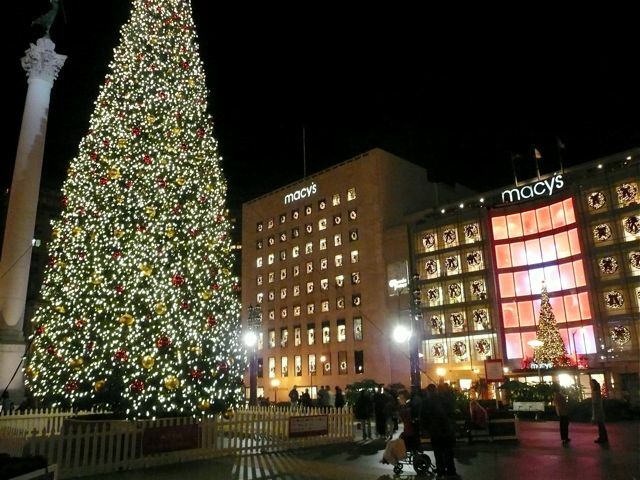 I've celebrated birthdays here, I've taken friends and family here, and it's always been special. Grab a slice of their famous cheesecake, or go with the Filet Minion, but one thing is for sure... it's amazing. Plus it's probably one of the largest and most varied menu I've ever seen at a restaurant. Be prepared in the evenings though... the wait can be up to an hour long on their busy nights. Just call ahead and see how things are going to be sure... but no matter what, it's a sure bet you'll remember! Somewhat kitty-corner to the infamous Pier 39 (which is a huge tourist attraction, complete with Alcatraz Island departures, freshly baked sourdough bread and really, really loud sea life... oh, and let's not forget the wax museums and Ripley's Believe it or Not... none of which I ever visited, but Nick most certainly did!) 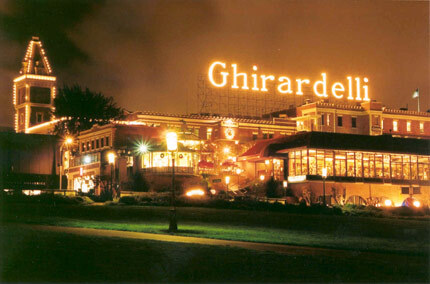 Ghirardelli is a famous, famous chocolatier and the square has been a part of San Fran's history for decades. 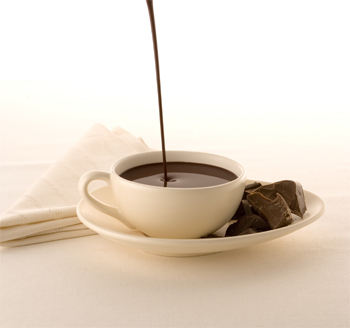 Not to be compared or un-rightly confused with hot chocolate or hot cocoa, Drinking Chocolate is something only Ghirardelli does, and does so well. And here is my challenge for you! I am offering a FREE book, hot off the presses, to anyone who is able to provide video proof of you or a friend drinking, on their own, a full and entire cup of Drinking Chocolate. I do not offer this lightly!!! Neither Nick (the human trash compactor), nor his father, nor our friends nor I have EVER, EVER been able to consume more than a third of a cup of Drinking Chocolate. You can try to chug it, you can try to sip it... but if you have video proof with NO cheating... I hereby declare I will send you a FREE book, signed and everything, for completing such an amazing feat. I can't wait to see if anyone will succeed!!! This is DEFINITELY for the weird and wacky adventurer. 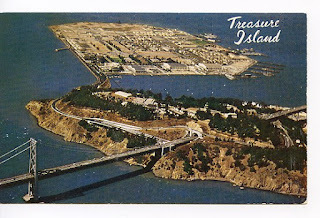 Nick and I didn't discover Treasure Island until our very last year in the Bay Area, and I can't believe we'd never even heard of it before. 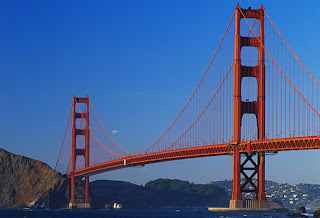 To us, it was simply the only exit that existed on the Bay Bridge (80 fwy) going East. I'm so glad we finally exited. 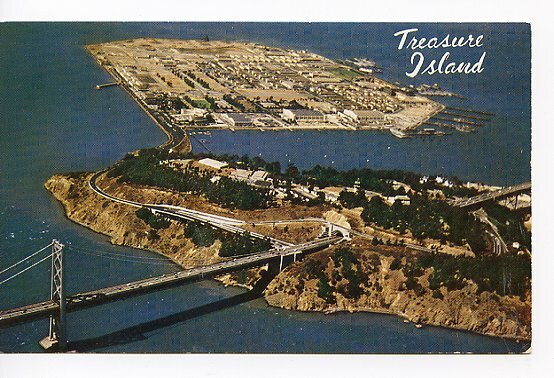 I'll save the long, weird and totally off-the-wall story of Treasure Island for your trek onto this somewhat... okay, very forgotten but magical piece of history. You can Google it, yes, but you might like to see for yourself. The absolute best parts, for Nick and I, were the first large building with large structures and sculptures, which you are free to explore and walk around, no matter how vacant you may find it. 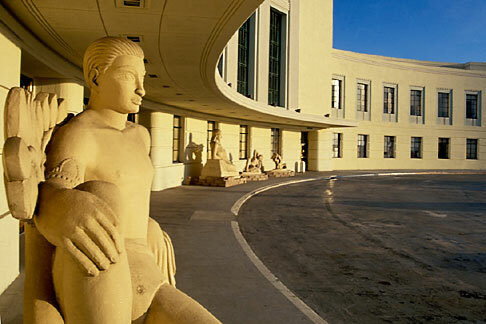 It's like walking into a piece of history, complete with a massive building-long mural that tells its story. We also loved driving the little streets along the residential hill. So green and luxurious and... weird. It's definitely the kind of trek a non-traditional tourist would love. Oh, and yes, there are parts of the island that are somewhat inner-city like. They'll look scary, but they aren't, and you have to go to the very edges to ever make your way into those parts. And even then it's weird... like the winery? But we love stuff like this. LOVE it. So if you're like us, check it out. It's quite the unusual stop! If you haven't done it, just do it already. Everyone else has and it's featured in so many movies and referenced so many times that you might as well try it. It doesn't cost anything, and you can do it as many times as you like, but at least take the time to go down the world famous Lombard street at least once. I did it years ago on a family vacation, and then did it again when Nick and I moved to the area. And I haven't done it since. But boy, do I ever remember it well!!! I've been so many places and have seen so many things... and there's just nothing like it anywhere else. 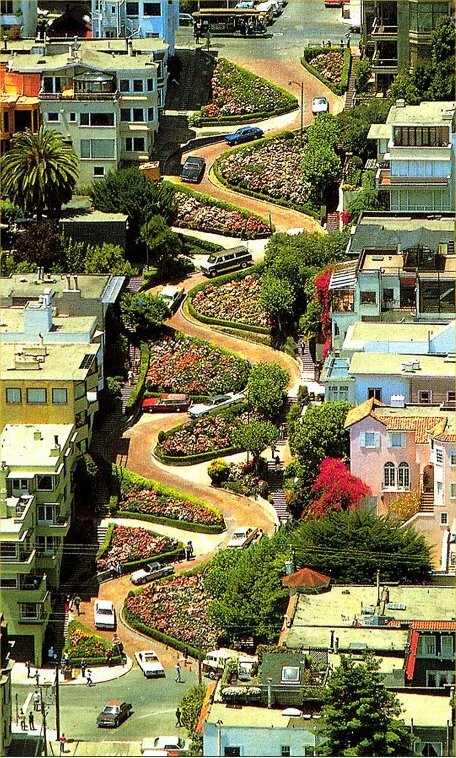 It's a perfect example of the kind of street you'll only find in San Francisco: steep, narrow, a little scary and... fun! Pacifica is a city in California. It's actually right over the hill from Burlingame, where you're staying for BBB. DO NOT go at night!!! Pacifica is a city to visit during the day, because the views it offers of the sea and of our precious golden coast are nearly unmatched for the area. It's a quick drive from the hotel and the scenery is amazing. It also boasts some magnificient parks with some magnifiicent views and hikes. If you are a lover of the sea and of nature's grandeur, this might be more your style than the shut-in and tight craziness of the city. If you go just a little further south, to McNee Ranch State Park, you'll find there's a nice big open trail that takes you to the most impressive 360 degree view of the entire Bay Area I have ever encountered. It's not a rough trail. Smooth, actually. But steep in parts. Very steep. And for you geocachers out there, one of those caches is at the very top of the mountains there and most don't ever reach it. Just look at the pictures on Google Maps. Even better than Mount Diablo. If you can handle heights (I can't and nearly had a breakdown heading downhill) then I highly highly recommend it. I'm so glad I didn't know better at the time. The payoff kinda counterbalances my "heights" trauma... I think. But no matter what, I'll remember that view for a lifetime. Go for it! From Weekly Note #42: Six Amazing Sights to See at BBB! released on October 5th 2012. Cody Melin has left this world. I know what that means, but do you know what that means? I'm sure you're watching and wondering at the outpouring of love for Cody's life and his family all over the social networks. And that's because Cody's story started so long ago, that those of us who were there remember it extremely well, but have a difficult time putting it into words for you and today's world. This is the Cody I first met. No, he didn't have a cowboy hat on at the time, but he still stood out in a crowd. Oh my, did he ever stand out. I remember it as if it were yesterday. It was my very first dance convention. A Tom Mattox convention actually. My parents were crazy crazy into CW dancing and I had picked it up, I think, out of pure survival in that house. But it was summer and my best friend and I were curious about all these "dance conventions" we kept hearing about, so we drove all the way out together and walked into the lobby to take a look. As we hesitantly stood in line at my very first registration desk, Cody walked by and stopped at the table next to us. If I remember correctly, I just stared. I might have even dropped my jaw a little. It was like seeing Baryshnikov walk by up close and in person. I remember instantly nudging my friend and whispering, "Now THAT is a dancer!" I didn't know much about this competition world, but I knew one thing... I would give anything, anything, to dance with this man before I died. So I bought a ticket. Did I ever dance with Cody? Absolutely. I'll never forget that first dance. I was a total nobody at the time, and pretty darn shy about asking other men to dance, but I believe he was the first teacher I ever asked to dance. And I chose, oh-so wisely. That's right. I told you it was like watching Baryshnikov walk by! Looking back, I realize that I had no clue of what I was looking at. I didn't know how much technique was in action by his simple act of walking and standing... I just knew it was... stunning. I look back now and think- "wow, he was doing this, and he was doing this and dang... he was even doing this!" And that just goes to show you that, untrained eye or not, newbies know good dancers when they see it. Cody has lived three lives since that one day so long ago. As have I. But needless to say, a dancer like that does nothing short of leaving a huge impact upon those lives he touched. I am so grateful I knew him. I am so grateful you were ever able to see him dance. And I hope you can understand why those of us who have been around a while are feeling the incredible loss so deeply. Our champions of dance leave us too quickly... Cody Melin, Jason Colacino, Wayne Bott... they are leaving us and we are hit hard. 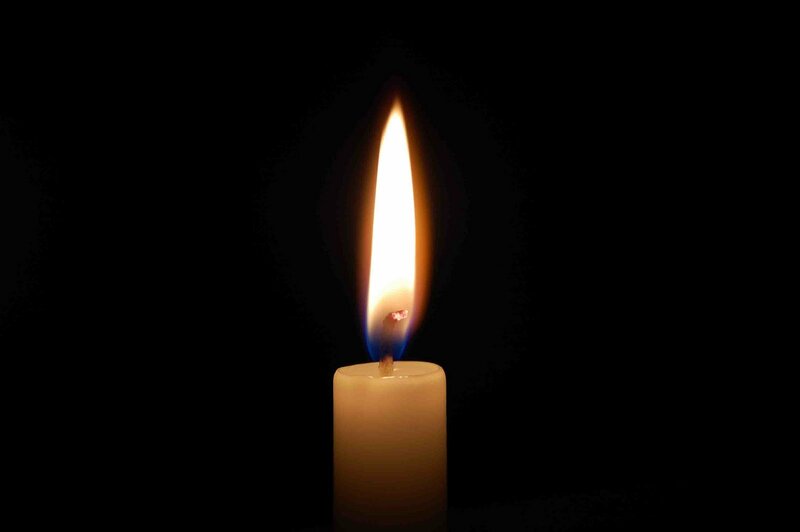 So think of Cody along with us... and may our prayers and thoughts reach the family he has left behind as well. From Weekly WCS Note #35: The Good Life (now Finding Joy at Conventions). Released August 6th 2012. I hope everyone is enjoying the Olympics! They are such an excellent source for training and inspiration. I've written two posts about them already on my blogs. 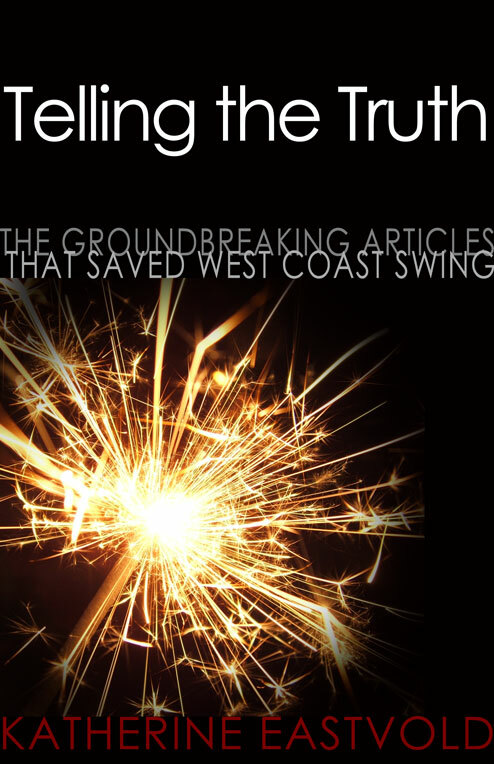 If you haven't read them yet, here they are: Get Your Training On and Olympic Torch Strikes Gold. Next week we may get back to my articles, but I thought you might like to hear what your peers are up to. I don't know if it was Convention Mention or Life After Swing (Telling the Truth) or maybe even hearing about one of our crazy road trips for the millionth time that did it. But you guys are making me jealous. Why? 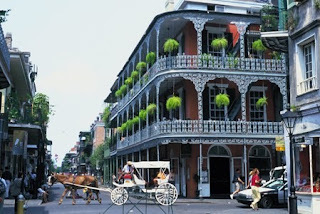 Because you're sending me all these emails about how, when attending the *a-hem* "West Coast Swing" events out there, you've been ditching them to see the ridiculously awesome cities they are being held in! 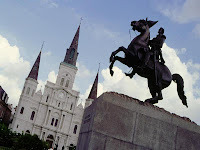 Oh yes, I've explored these cities too (I think Nick and I still have cramps in our legs from the DC Mall once upon a time), but the way you describe your own adventures... well, I want to be there too! Yes, many of these emails include regrets or disappointments with the events themselves, but then again, most of you had already purchased the event tickets, the flights, the comp fees, etc months ago. And that's not to say you didn't get to dance either! My favorite stories came from dancers who hit the town at night. Apparently, they found some awesome places to dance... clubs, bars, jazz clubs. Some said they fell in love with WCS all over again. How awesome is that? "Curiosity only comes when joy is present." How very true. If we could see the photos these dancers took, I bet joy was emanating from every face. Our community could use a little more joy in our lives. It's about time. 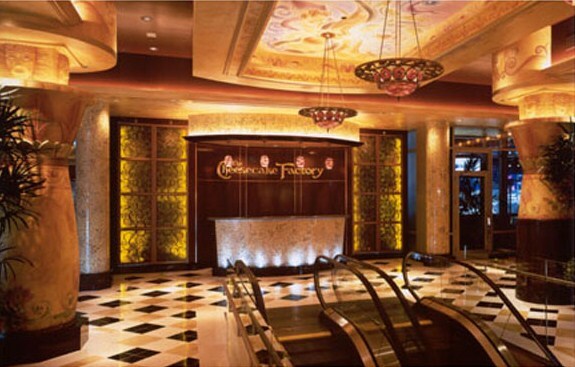 No matter what inspired you to leave your hotel lobbies behind and seek new frontiers... I hope you do it again. And again and again and again! "Enjoy the Olympics (it represents what people can do with a lot of focus, practice, and determination). How will it inspire your dancing?" It reminded me of my article "The Power of Perfection." This is truly an exciting time in history... as it always is when it comes to the Olympics. 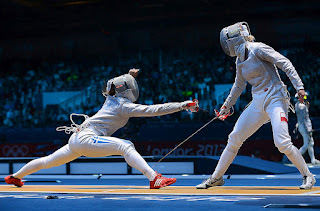 But since we are in the middle of the Summer Olympics, the fact of the matter is that you will have, quite frankly... the best chance to check out the "power" that comes with centering. As I walked past a large flatscreen in a restaurant over the weekend, I saw a man do the most tremendous gymnastics routine... he executed these incredibly expanded, point-perfect acts of balance, control, positioning and thrust... pivots, angles, motions... one single small change in the direction of his center changed the entire game. 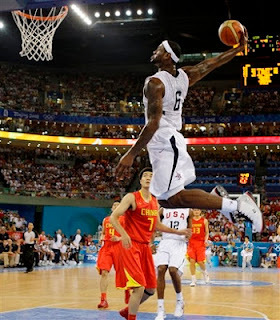 I saw body flight... on an Olympic level. The power of the center. You will see it in the swimmers, you will see it in the gymnasts, you will even see it in the runners... Watch while our Olympians are not covered in large vests of down feather padding, but when their centers are almost the main attraction... bodies in the midst of perfect execution, using their centers in all their glory. What an amazing time to learn. What an amazing gift. And what a perfect time to celebrate unity in the in the world of excellence and training. It's the Olympics. Jump on it. To subscribe to my Free Weekly Notes, click here!